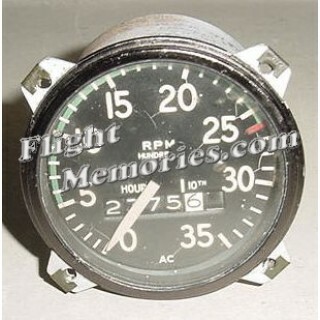 3 1/8" Vintage Cessna 170 Recording Mechanical Tachometer. Manufactured by AC. It is a non-working indicator. It would make an excellent show piece for the bookshelf in the office or home or just as a mock up panel item.